All Natural Botanical Ingredients That Calm Mind, Body and Spirit Leaving You Relaxed And Refreshed. Reduces Stress and Relives Tension. Gluten Free and Caffeine Free. A Partnership with the Family of Legendary Music Icon and Pioneer, Bob Marley. Portion of Proceeds Go Towards 1Love.org Chartible Foundation. Ingredients: Decaf Black Tea, pure cane sugar, citric acid, natural flavor. Valerian Root Extract, Lemon Balm Extract Leaves, Chamomile Flowers Extract, Hops Extract, Passion Flower Extract. SororiTEA Sisters was one of the first Tea Review Blogs to review a bottled tea from Marley Beverage Company and we are proud to say that we have a 2nd review to share! 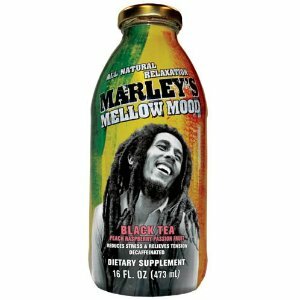 This time around we have All Natural Relaxation Marley’s Mellow Mood Black Tea – Peach Raspberry Passion Fruit. It says it reduces stress and relieves tension. It’s decaf, too! To check out the review we posted back in November for Marley Beverage Company’s Green Tea and Honey CLICK HERE! Upon opening the bottle I could smell peach followed by passion fruit with a little berry tied in. It almost smelled wine-like. It was a glorious aroma! My first sip was an eye-opening one! It was much flavorful than I expected! A nice-sweet-fruity bottled iced tea is certainly what we have here! The black tea taste isn’t in the forefront – it seems to be hiding in the background – but with all of the other flavors going on here there is a lot of others to keep me interested and busy! I could taste the Passion Fruit first and then the Raspberry and the peach isn’t as strong as I thought it would be but that is ok! It doesn’t leave a funky aftertaste which I appreciate! 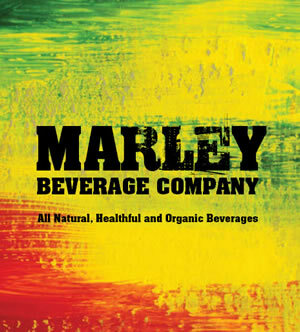 This is another pleasant surprise from Marley Beverage Company.